My Teeth Are Mostly Straight! 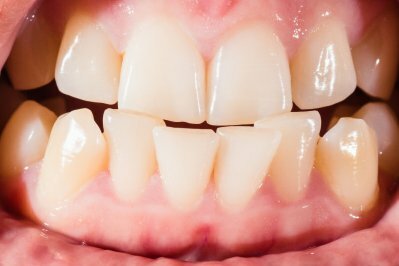 Why Do I Need Braces on My Top AND Bottom Teeth? A common misconception many people have in regards to braces and orthodontic	treatment is they are only required when you have crooked teeth or a type	of malocclusion. Even if your teeth are mostly straight on the top or	bottom, there can be specific	reasons why your orthodontist will recommend having braces installed on your top and bottom teeth. Malocclusion is the medical term orthodontists will use to describe different	types of conditions regarding your teeth and your smile. The most common	type is, of course, crooked teeth, which require braces to straighten	and realign for a beautiful-looking smile. One type of malocclusion you may experience is teeth overcrowding. This	is where the jawbone is not big enough to accommodate all of your teeth. For instance, if you have a small upper or lower jawbone and the wisdom	teeth erupt and start to develop, they can push on your other, mostly	straight teeth. For overcrowded teeth, part of your orthodontic treatment may require having	some of the molars extracted and removed to ensure sufficient spacing	for the rest of the teeth. After the extraction procedure, it can be necessary	to get braces to help realign any teeth that have started to shift. If there are big gaps in between your teeth and spacing problems, this	can increase the risks of tooth decay and gum disease. 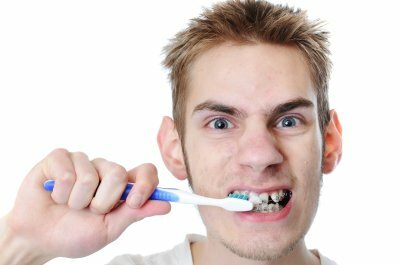 It can be harder	to keep the larger gaps in between the teeth clean during brushing and	flossing. Getting braces installed will close the gaps and make them more	narrow, reducing these risks. A crossbite is another type of malocclusion. This is where the front teeth	can appear to be perfectly straight, although the molars in the back are	not aligned correctly. The jawbone could be slightly misaligned as well. Correcting a crossbite normally requires having braces installed on the	top and bottom teeth. If you have an underbite, which is where the bottom jawbone and teeth will	be in front of the upper teeth when you bite down, you could require braces	on your top and bottom teeth. This type of malocclusion requires shifting	the alignment of the jawbone. 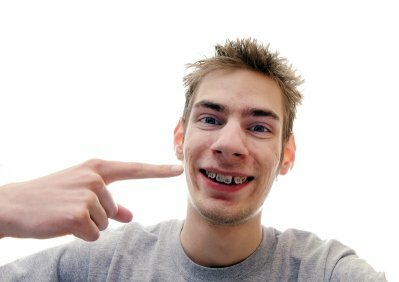 Even if you have mostly straight teeth,	moving the jawbone to correct an underbite requires braces on both the	top and bottom teeth. Alternatively, you could have an overbite, which is where the top teeth	and upper jawbone protrude outward. When you bite down, your top teeth	will be in front of the lower teeth. Some patients will also experience	problems with jaw pain if they have an overbite due to other issues, such	as teeth grinding or clenching their jaws excessively. To correct an overbite and related conditions, the treatment involves realigning	and shifting the jawbone—so, your orthodontist will highly recommend	getting braces installed on the top and bottom teeth. Why Would You Only Want Top or Bottom Braces? There can be a few and rare instances where one might only need braces	just on the top or bottom teeth, but not both. In these cases, there must be	a specific set of criteria your orthodontist will verify you meet. For example, if you have an overbite with crooked bottom teeth, while the	top teeth are mostly straight, then braces just on the bottom teeth might	be all that is needed. As the teeth are realigned on the bottom, this	can cause the jawbone to shift and correct the overbite. On the other hand, if you have crooked teeth on the top, an underbite,	and most straight teeth on the bottom, then braces just on the top could	be an effective orthodontic treatment. There are also other variations	relating to the bite, your jawbone alignment, and the appearance of your teeth. 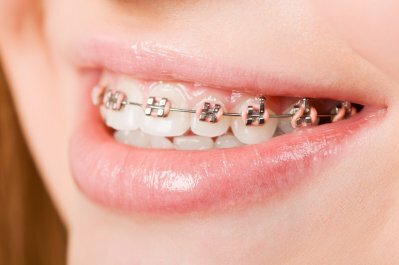 Only treating the top or bottom teeth with braces could potentially alter	your smile in various ways. In some cases, this could result in changes	that create further orthodontic problems because your bite has shifted	or the jawbone has shifted. Furthermore, a single treatment on just one set of teeth could affect the	force and stress placed on the teeth and jawbone when you bite down. This	can lead to excessive wear on the teeth, extra pressure on the jawbone,	clenching of the teeth, grinding, and other such conditions that were	not present prior to the treatment. These concerns often far outweigh any of the personal advantages why people	may only want braces on just the top or bottom. For instance, some people	may only want to straighten their bottom teeth and do not want braces	on the upper teeth because they would be too noticeable. Yet, they could essentially alter their bite and smile in a negative manner;	the end result would not truly deliver a beautiful smile. There are always	alternatives you can consider if you are worried about people noticing	you have braces, like clear braces or Invisalign. Why Do Some People Get Top and Bottom Braces at Different Times? The timing of your orthodontic treatment is largely based on what needs	to be corrected on the top and bottom teeth. The objective is to try to	schedule the installation of braces onto the teeth in such a manner that	your treatment will be completed simultaneously for both the top and bottom teeth. In addition, it is normal to start treatment by having the braces installed	on the top teeth first. The top teeth and jawbone take longer to align	and move compared to the bottom teeth. After a period of time, based on	what needs to be done to the bottom teeth and jawbone, the bottom braces	are then installed. The main benefit of doing one set of braces at a time is it allows people	time to adjust to wearing them, along with changes in their oral care	habits. By the time they get the second set of braces installed, they	will be more comfortable with them. Fortunately, getting braces to improve your smile is much easier today,	thanks to a wide range of orthodontic treatment options and variations. Treatments can be customized to fit specific concerns while correcting	the problems with your bite, jawbone alignment, and teeth. Aren’t Braces Just for Tweens and Teens? As we get older and age, our teeth, bite, and jawbone can shift, regardless	of whether you had braces when you were younger. 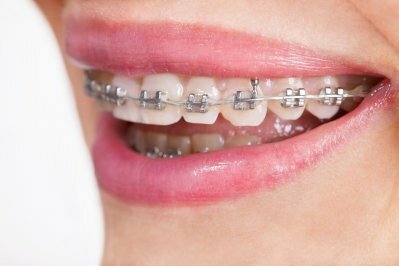 Some people could have	benefited from braces when they were younger, but, for whatever reasons,	their parents decided treatment was not necessary at that time. If you	have crooked or crowded teeth or a problem with an overbite or underbite	and are an adult, it is never too late to get braces and the beautiful	smile you deserve. At Labbe Family Orthodontics, we understand getting braces is a major commitment	and, for some people, a little scary. Luckily, you do not have to worry,	as we treat you like family. We are here to help you, from your initial	consultation until the end of your orthodontic treatment. 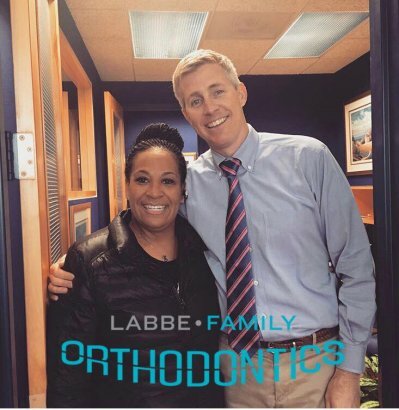 To learn more about our orthodontic services or any questions you have about braces and your options, please feel free	to contact Labbe Family Orthodontics at (443) 603-3448 to schedule a consultation today! We have office locations in Annapolis, Crofton/Gambrills, Bowie, and Greenbelt. After all, we believe “Life is Better with a Smile!” We can	help you get the beautiful smile you deserve.